Ready or not, the holiday season is upon us. It’s time to embrace the cold weather, family gatherings and the couple extra pounds we all pack on. Tap into that holiday cheer and celebrate at these Northern Michigan events. Move over Oktoberfest, Novemberfest is here. Celebrating Northern Michigan’s beloved harvest of grapes and apples, Novemberfest features our very own vineyards, breweries and orchards presenting local wines, ciders, beer and meads, all for the sampling. Your ticket includes six drink tickets, a City Park Grill beer-can-style glass, half-off appetizers and live music. Save $5 and buy your tickets now. Need date night inspiration? Enjoy a four-course meal crafted by the Treetops culinary team with local ingredients from area farms. 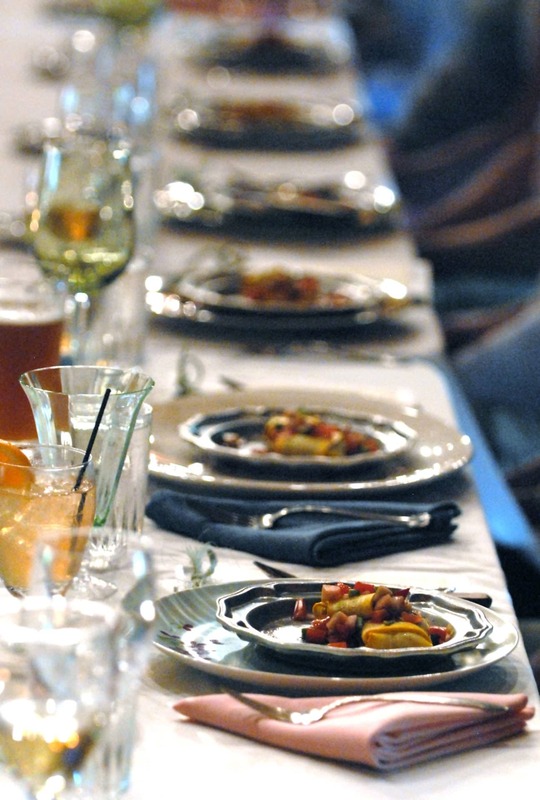 This farm-to-fork dinner features Bell’s Brewery and Home Comfort Farms. Each course of the meal is thoughtfully infused and paired with a different beer and a guest presenter from the hosting farm will share a bit about their operation and practices. More info. Enjoy comedy without the club and dig into a buffet of appetizers and small plates. Your ticket covers the show and all you can eat including Why Knot Wings, flatbreads, meatballs and other snacks. The buffet starts at 6 p.m. and Jay’s show starts at 8 p.m. Who’s Jay Harris? An entire week of the best beer-related events ever. Starting with the IPA Challenge (see above) and moving right along with the Flapjack and Flannel Fest and Great Beerd Run (see below). Other festivities include a pub crawl, releases of specialty beers, games, tours, beer and food pairings and a block party. Who’s ready?! 10+ breweries, 30+ brews, lots of pancakes. Enjoy games and live music from The Whistle Stop Revue, Turbo Pup and Jack Pine, and fill up on flapjacks from Daily Blend and The Cooks’ House with beer pairings. Dress code: flannels. Remember to have fun and be safe at these events. Check out this sweet designated driver service instead of getting behind the wheel. You can thank me later. Get ready for the 2018 Zonta Festival of Trees Preview Party on the 8th. Enjoy appetizers, beverages, entertainment, drawings and the first opportunity to shop the wonderful Holiday Emporium for exquisite wreaths and accessories. Then, from the 9th–11th pick your favorite tree decorated by eight local nonprofit organizations. Each vote you cast costs $1, and proceeds benefit the charities. Plus, the winner gets a $500 bonus. Get beautiful decorating ideas while celebrating the inauguration of the 2018 holiday season. Get your tickets for the Preview Party here. Do you like beer? And beards? Well, we’ve got a race for you. This fun run, in celebration of beer week, has beer tastings throughout the course featuring Beards Brewery, Short’s Brewing Co. and Right Brain Brewery. 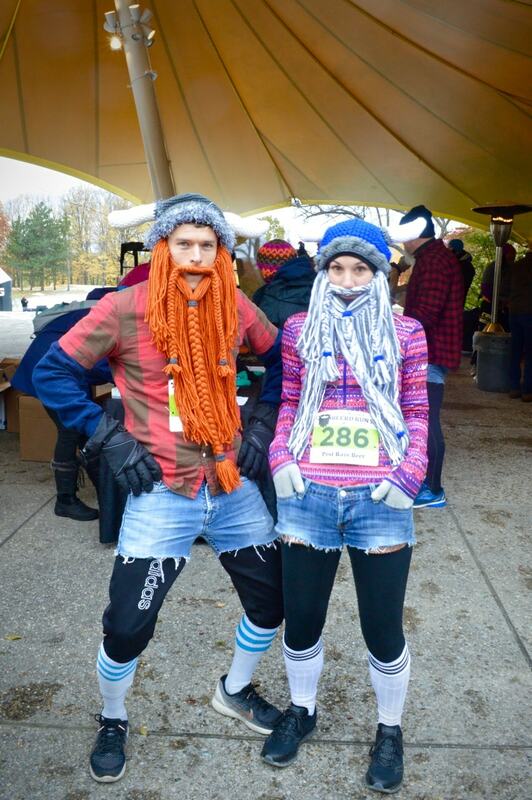 The best real beard and fake beard will be awarded at the after party (the fastest male and female runners get something too, but that’s not as impressive). Ready, set, grow! If the man in your life is out in the woods and you need to treat yourself, this night is for you. Enjoy sales, restaurant specials, live music and more in downtown Harbor Springs from 5–9 p.m. This is a night to enjoy your girlfriends, make yourself a holiday wishlist, catch up on the hot news around town and relax. Gift wrapping will be available, and better yet, childcare will also be available. It’s time to celebrate the 2018 holiday season with the magic of lighting up beautiful Downtown Traverse City and our iconic tree. Santa will arrive at 6 p.m. to light the tree at the corner of Cass and E Front Street. The parade will begin at 7 p.m. and travel along E Front Street, Franklin to Union. Old Town Playhouse is bringing you the Christmas classic we all know and love. Charles Dickens’ holiday work is decked out with some special trimmings. In this play-within-a-play, the spirits of Christmas work their magic as a struggling company of traveling players tells the story of Ebenezer Scrooge and his redemption. This energetic comedy with music will delight the entire family. Petoskey is delivering the holiday spirit during the annual holiday parade, Saturday at 10 a.m. The parade will wind through downtown streets and end at the Perry Hotel where children will have those all-important conversations with Santa. There will be performances by the Petoskey High School Marching Band, floats and walking ensembles representing many businesses and nonprofits in the community, and much more. Find more Northern Michigan events in MyNorth’s calendar.